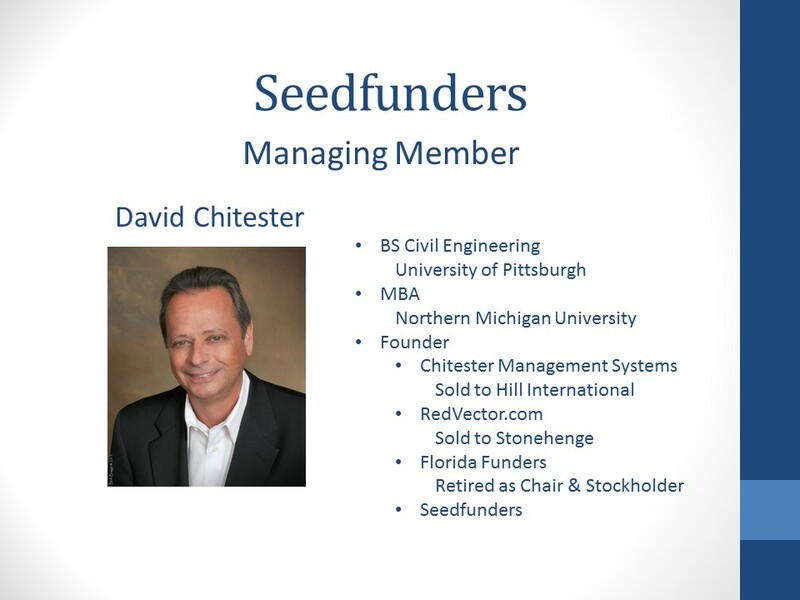 This week, our second #1MCstp presenter was David Chitester, introducing us to Seedfunders. 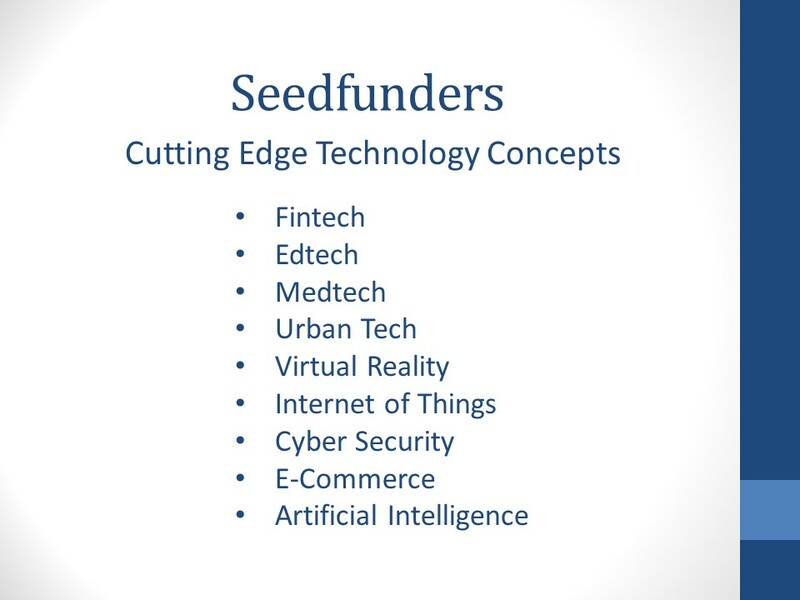 Seedfunders is “Investing in Tomorrow’s Technology Today” by providing “funding and mentoring for pre-revenue technology concepts.” The investment team is comprised of four experienced members. David is the Managing Member and has a long history in entrepreneurship. “Basically, I”m an entrepreneur,” David said; “I’ve started and sold a number of companies. 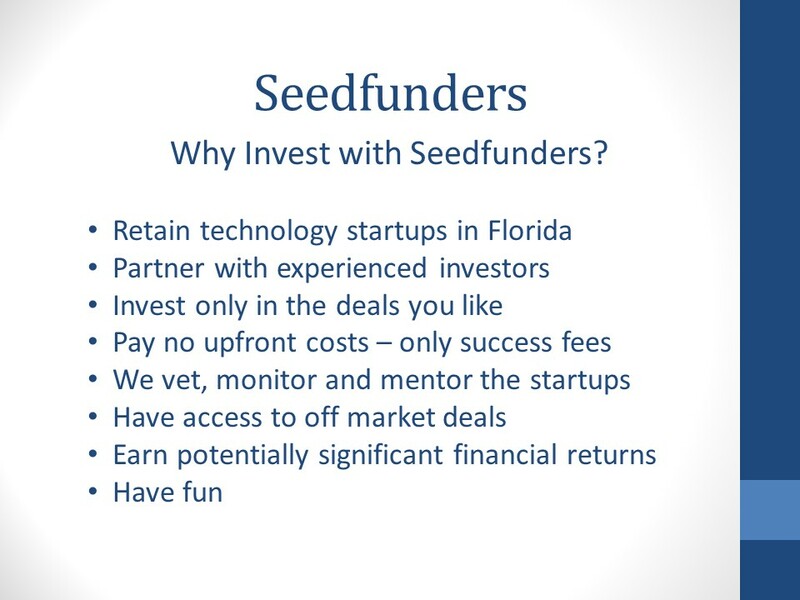 I started Florida Funders and retired from that just over a year ago as Chairman.” David’s retirement was short-lived though, and he’s “un-retired,” as he put it, to start Seedfunders. 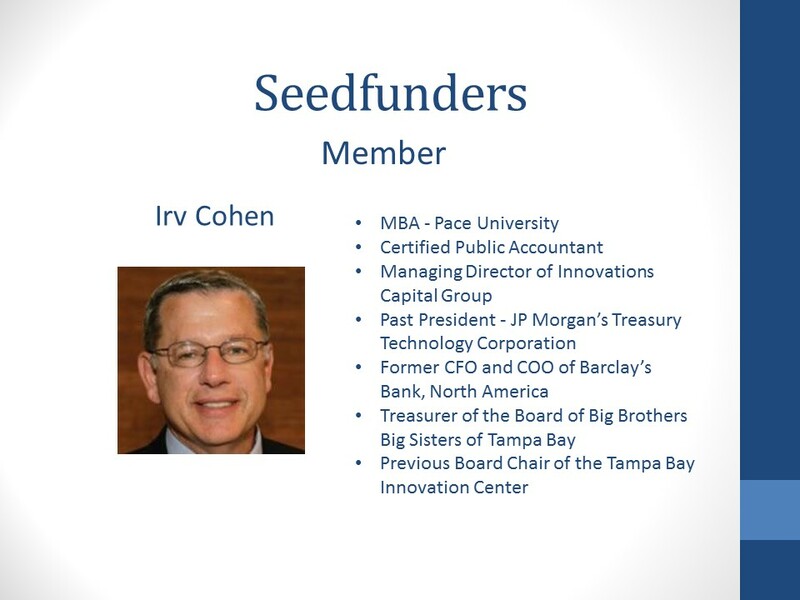 Irv Cohen is a David’s Partner at Seedfunders; he is also still part of the team at Florida Funders, where he and David collaborated in the past. Irv has “an extensive background, including Wall Street experience. He is the Past President at JP Morgan’s Treasury Technology Corporation and the Former CFO and COO of Barclay’s Bank. “Irv’s been in Tampa Bay for several years now and is heavily involved in a number of organizations,” David said. 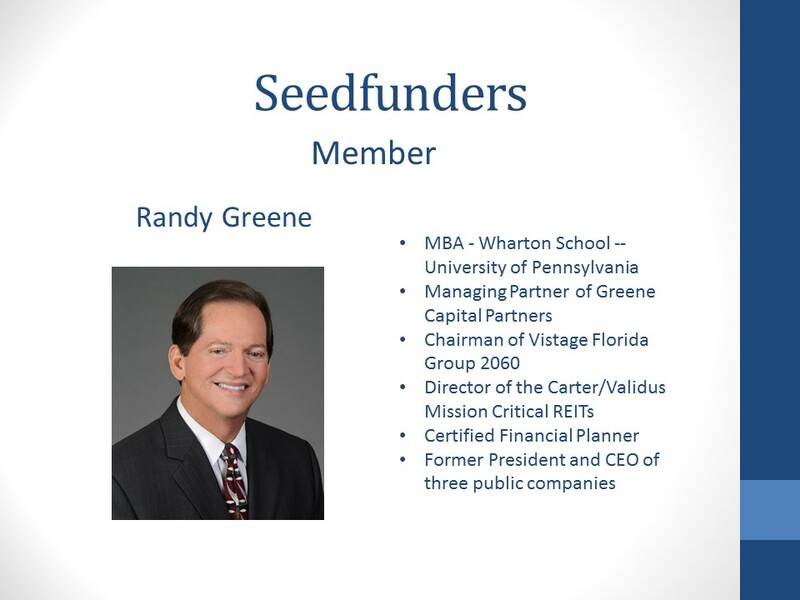 Randy Greene is another Member of the Seedfunders team and “one of the smartest guys you’ll ever meet.” He has been a President and CEO of three different public companies and is Chairman of Vistage Florida Group 2060. 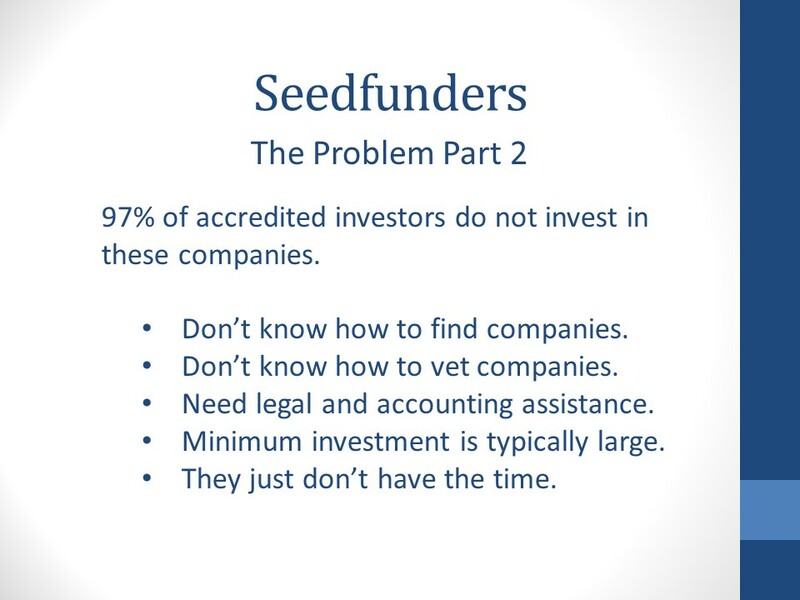 Tommy Simon is the fourth Member at Seedfunders. “Tommy’s also very experienced and has experience in entrepreneurship and investing,” David said. 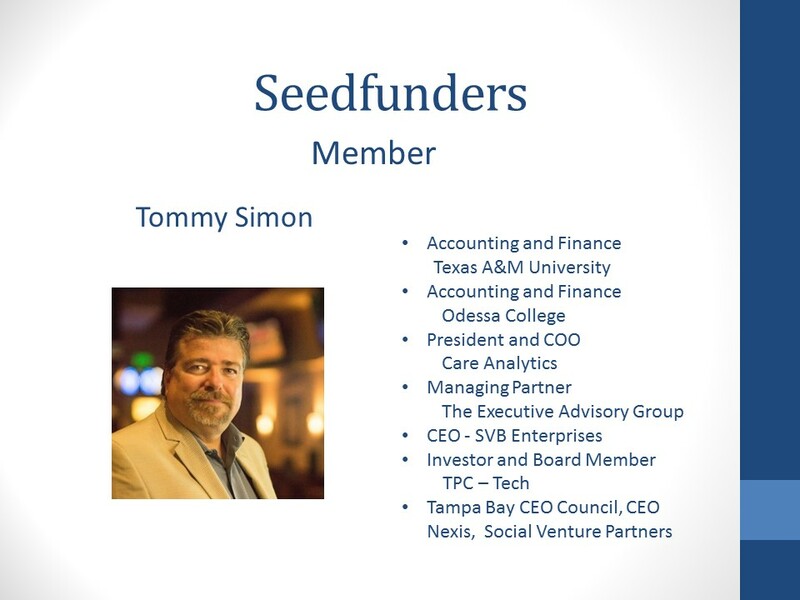 Tommy has been the CEO for several entities and is involved with the Tampa Bay CEO Council, CEO Nexis, and Social Venture Partners. 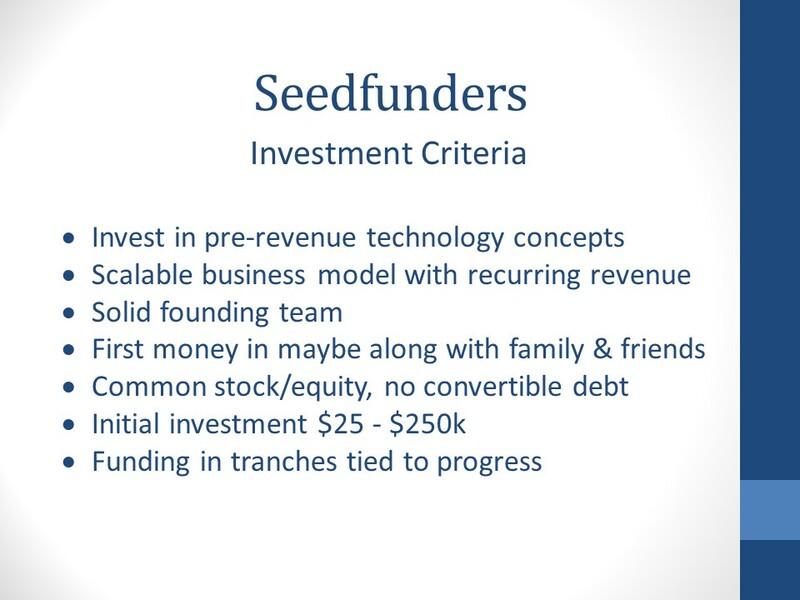 These four distinguished members make up the core team at Seedfunders. “We solve all those problems,” David said. 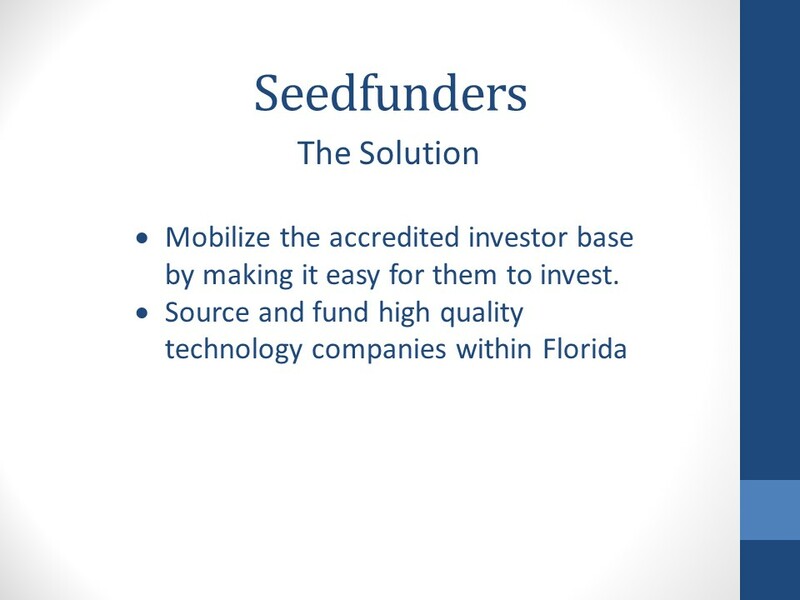 Seedfunders “mobilizes the credit investor base by making it easy for them to invest. 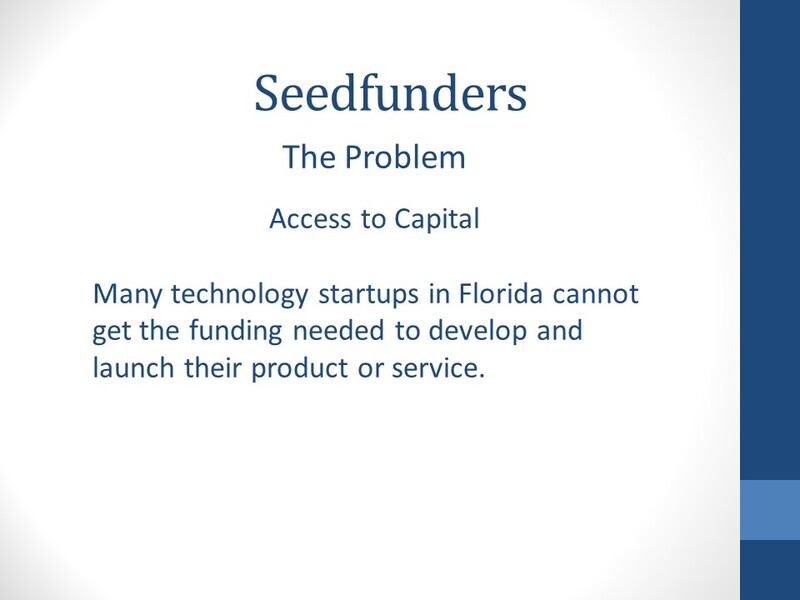 We also source and fund high-quality technology companies within the state of Florida.” Similar to the idea of Florida Funders, which funds Series A rounds of $500k – 800k, Seedfunders looks to fund smaller amounts of $25k – 250k to pre-revenue companies. First money in, maybe along with family & friends. “We don’t want a capital table that includes 8 investors, all with different terms,” David said. Common stock/equity, no convertible debt. “We want to be with the founders, at the same level as the founders, in common stock – same as the founders,” David added. Funding in tranches tied to progress. “So if we’re doing $100k, I might do $20k upfront and then another $25k or $50k time tied to progress, along the development of the company,” David explained. 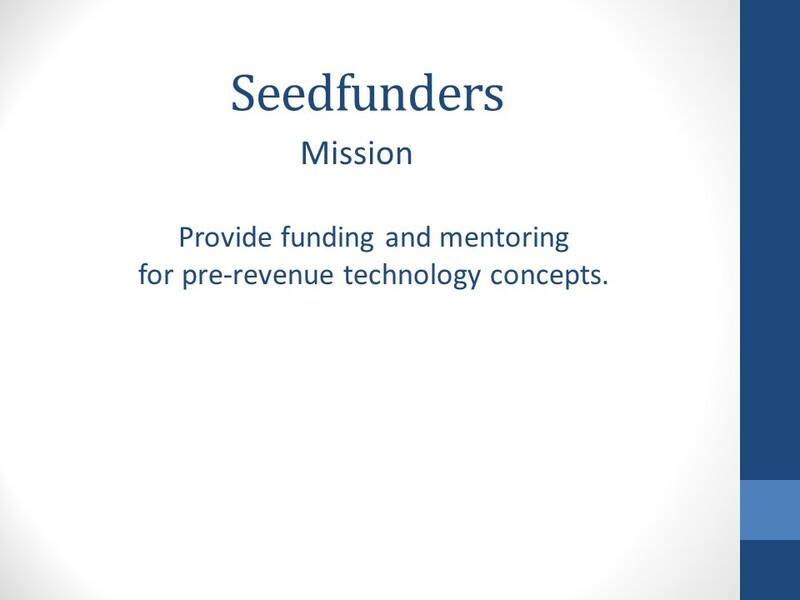 Seedfunders was launched this past July and has opened their office at the Station House. They currently have 28 deals that have been submitted for funding and are waiting for 9 additional deals to be submitted. 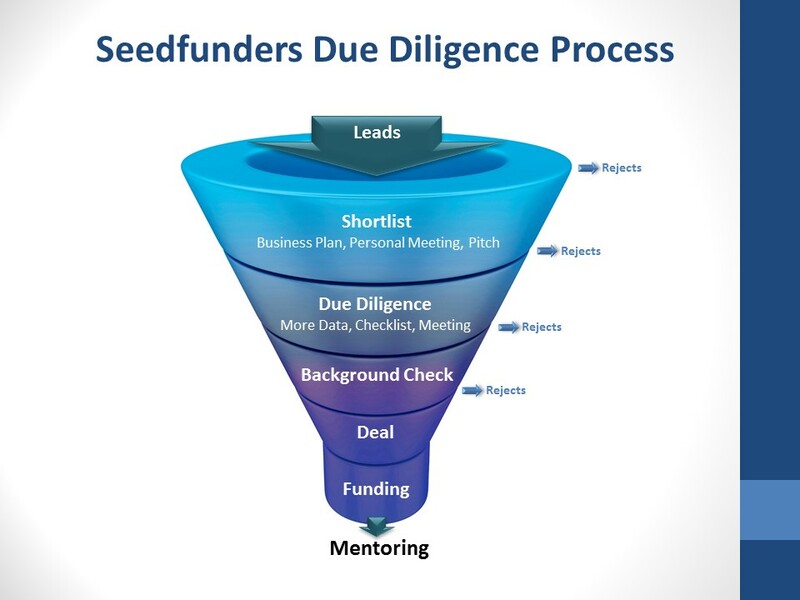 Four deals are currently in the due diligence process. David elaborated, “we don’t have a big budget for marketing,” so our help spreading the word is appreciated. “I am going around the state next month and attending 7 pitch events and judging two of those. Basically, it’s going out and getting the word out, talking to people,” David said. 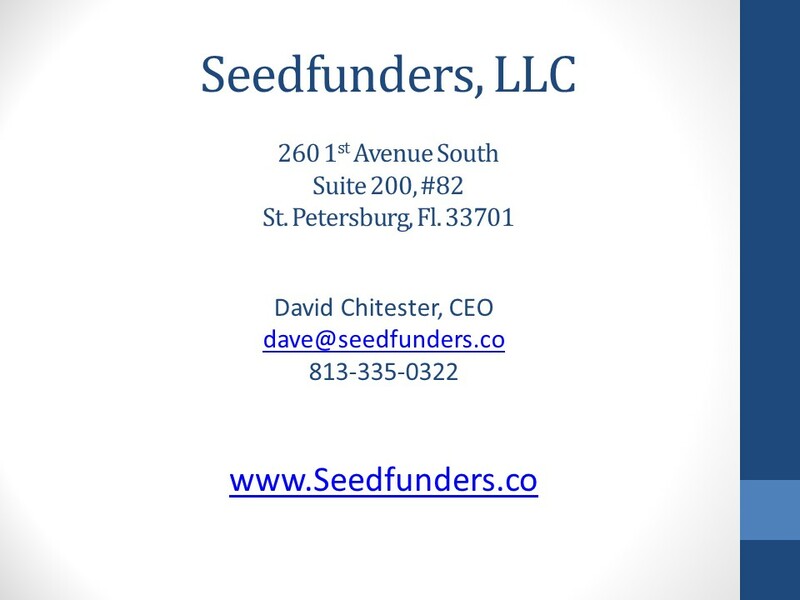 If you would like to connect with David, he can be contacted at dave@seedfunders.co or (813) 335-0322. 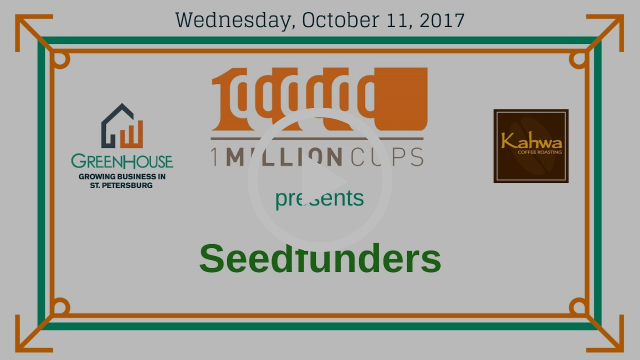 Want weekly updates about our #1MCstp presenters?